Things have certainly changed since then and I have never had a "High-end" Gaming PC but this also became my first attempt at building one. Long story made short I started researching mostly on YouTube on getting re-familiarized with current tech and industry trends. I would pour over videos from Paul's Hardware, Bitwit, Linus Tech Tips, Jayz2Centz, and Gamers Nexus to myself be prepared for what to expect. Research started at around the launch of the 10 series of Nividia GTX Graphics cards and the 6000's series Skylake CPUs. At around the end of 2017 I decided to start gathering components for my PC. Bearing in mind this was at the second time around with the crypto currency mining craze and I couldn't find any decent graphics card for a reasonable price. RAM and Storage was also near all time highs so ultimately this computer cost $2000.00 should have been easily 300-400 dollars cheaper but that is life. Overall I am very pleased with the performance of the machine. I run everything with Ultra MAXED Settings and rarely get less than 60 FPS. I have yet to overclock the CPU or GPU aside from using the XMP settings for the RAM. I have used about half of the 1TB storage and plan on buying a 2nd MX500 as I have had zero complaints, just waiting for prices to drop further. The only complaints were the fans on the Cooler Master Liquid Lite 240, when setting the fan switch on the case to the highest setting there is a harmonic resonance that is noticeable and annoying. I plan on swapping them out with be quiet Silent Wings 3 fans as well as adding additional ones in the front. Depending on ambient temps the CPU temps at idle at around 24-27c and after a LONG gaming session at most 58c on lower RPM silent mode. Very reasonable price for a 6 core non hyper-threaded CPU. Excellent cooling AIO but the fans are noisy and plan to swap out for Silent Wings 3 fans. 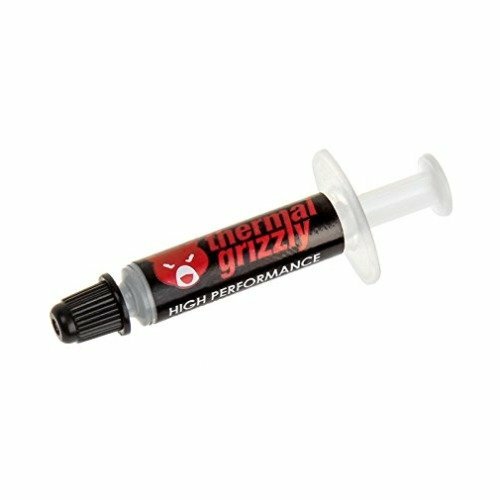 Simply the best thermal paste on the market, will only use this stuff going forward. Can be hard spread but they put plenty of details on how to help that. Bought this motherboard as a EVGA.com exclusive bundle. I like the looks but doesnt have RGB support, nor additional header for Micro USBc as my case actually has that jack and I cannot use. 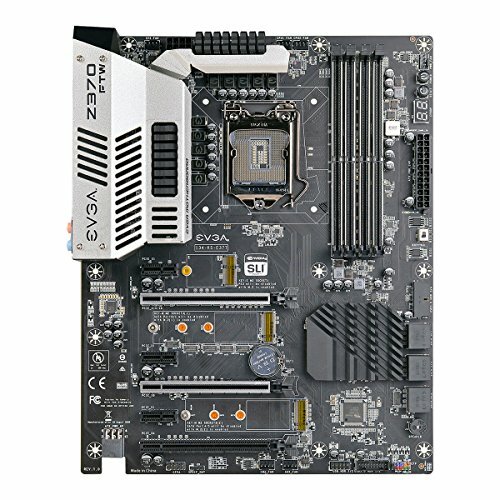 When I upgrade to a 9000's series CPU I may just change out the MOBO, i will need to think about this. Gorgeous set of ram. 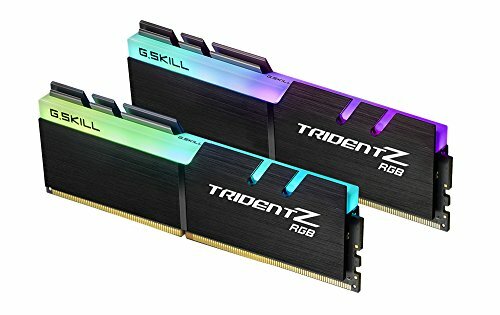 16gb is minimum and I plan on adding another set as I like a fully populated set of ram. Alternative offerings still don't compare to the look of the sticks. Paid a little over $500 in February 2018 so I think I still got a great deal. I have no plans on swapping out any time soon. I was not impressed by the light options as its not a true RGB keyboard, its just B and has connectivity issues when you switch bios on demand for the keyboard. Excellent mouse, weighted well and on demand DPI adjustment. I rarely need to go beyond the middle setting. 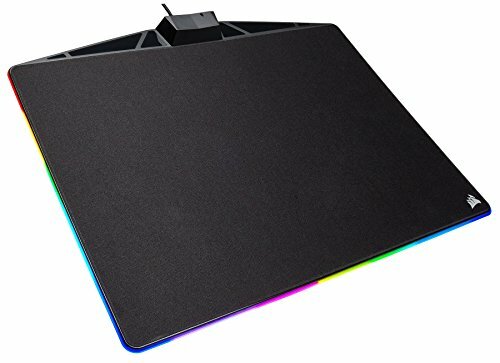 Love this mouse pad, the RGB Intensifies! Uhh the 8600k isn't an i7??? He has acknowledged that. It's fine, its not bothering you. I actually had to look that up. Damn, getting old there. Title all fixed folks, crisis over.